Last week, upper school students headed to San Francisco for a field trip organized by English teachers Charles Shuttleworth and Jen Siraganian. At the legendary City Lights bookstore, the students received a tour courtesy of event programmer Peter Maravelis. 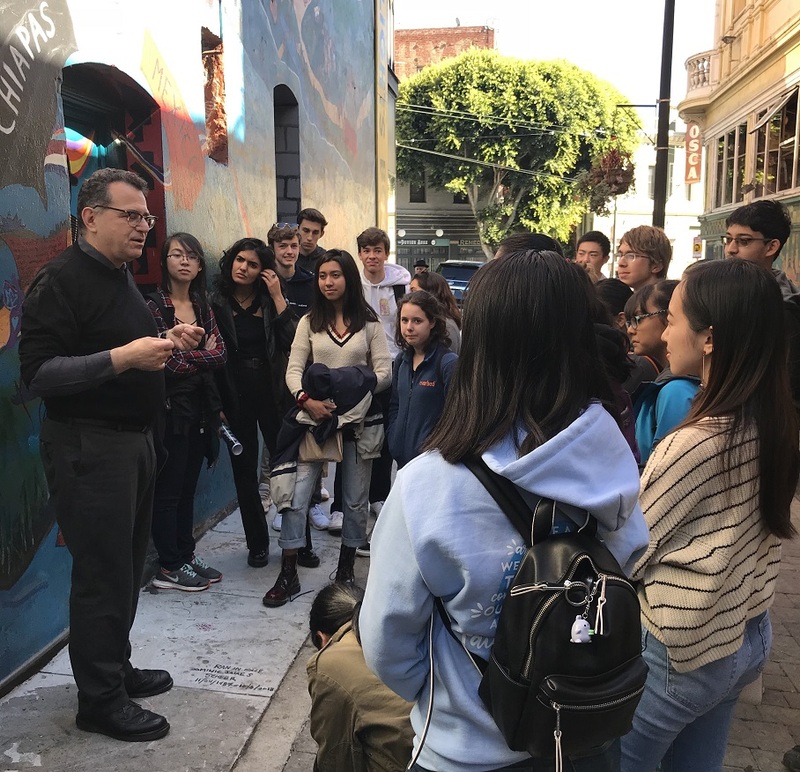 Students also visited The Beat Museum, dedicated to the work of Beat Generation authors such as Jack Kerouac, Allen Ginsberg and Neal Cassady. There they were given a tour by Jerry Cimino, who co-founded the museum with his wife, Estelle. Students in Shuttleworth’s class on Kerouac and the Beat Generation also met with Dennis McNally, author of the Kerouac biography “Desolate Angel.” Meanwhile, students in Siraganian’s “Art of Poetry and Fiction” class visited with the directors of the Litquake Foundation, which organizes Litquake, a yearly 10-day literary festival that spans much of San Francisco. “I knew that many values we have today (gender equality, environmental awareness, etc.) spread during the hippie movement and originated from the Beat movement, but I didn’t truly understand to what extent the cultural shifts of the mid-1900s influenced our society until we talked to Mr. McNally,” said Sophia Angus, grade 12.